Happy go lucky is Slackajack Monkey! 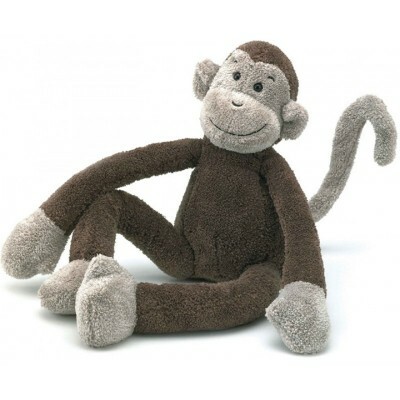 Long floppy arms and long floppy legs make Slackajack Monkey the perfect companion all day, until bed. Made with a soft fleecy fur which will weather all play; wearing a broad cheeky grin, for come what may!